Mark,you hit the nail on the head in the second-last paragraph. I think children are capable of handling a lot more than what's assumed in terms of thematically heavy films. Films of yore (thinking of Bambi and Dumbo) dealt with the loss of a parent - these days the worst that can happen is losing all your friends for about 10 minutes before the climax. 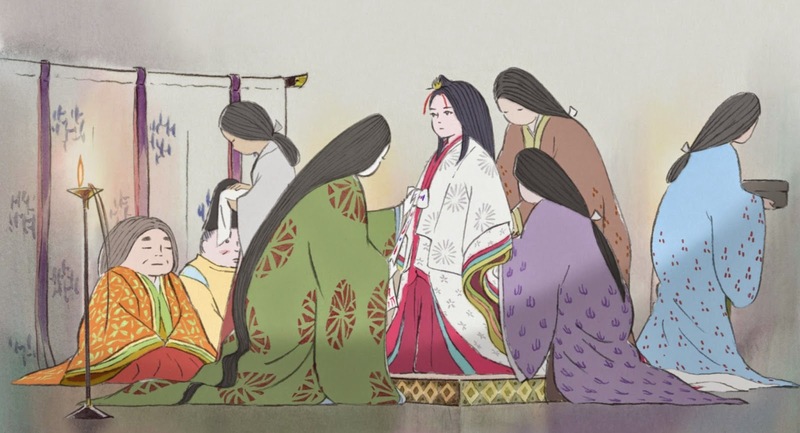 I'm looking forward to seeing The Princess Kaguya, thanks for the review! 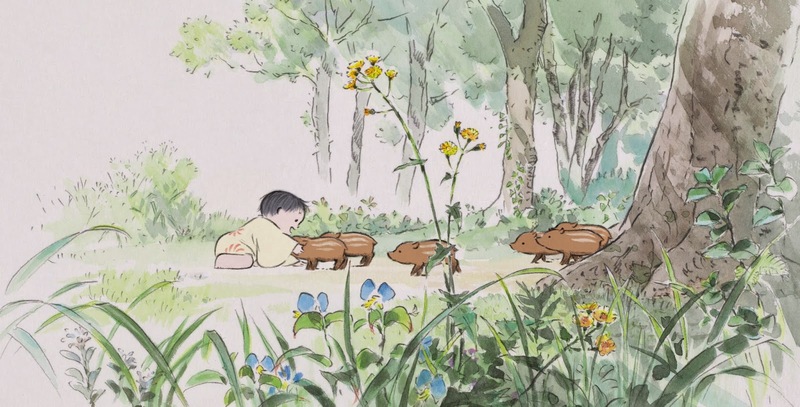 I think you are totally correct in saying that Studio Ghibli demonstrated a different way of telling stories, I remember when I first saw "Laputa" many years ago and was delighted by the fresh approach they took. However, for me, I think that their output became decidedly sub-par since "Howl's Moving Castle". It was appalling that Goro Miyazaki got a directing job on "Tales of Earthsea" with absolutely no animation experience to speak of and the lacklustre "Up on Poppy Hill" only confirms his lack of directorial ability. "Ponyo" was a pale shadow of "My Neighbor Totoro" a film that remains uttery charming for any age without the apologists lament that "you have to see it throught he eyes of a child" and there has been nothing as fresh as "kiki's Delivery Service" or as touching and delightful as "Porco Rosso" and "Spirited Away". Even "Howl" was weighed down by a garbled storyline and a rushed denouement but it had flashes of delight within it that made it worth watching, something that I don't think can be said for anything that Ghibli have produced since. I saw the dubbed version of this in New York a couple of weeks ago. I think it's probably one of the greatest human works of art, of any kind, that's been done in the past century. It's a simple little bowl that contains universes. I tried to review it for Amazon.com and forgot to even mention how the film encompasses class, gender, war and parenting. I saw Song of the Sea yesterday. It's beautiful, and I have a little easier time imagine bringing a small child to that than to Kaguya. 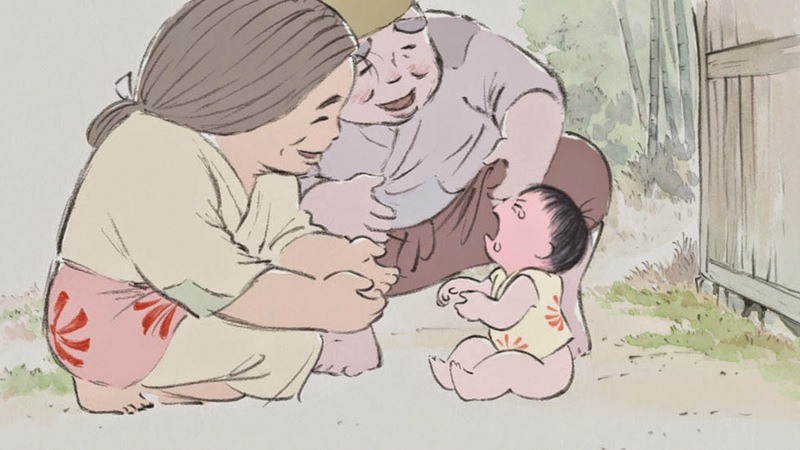 But I think Song of the Sea is just a nice film made by people, whereas Kaguya feels like something that the gods gave to Studio Ghibli the way the gods gave Kaguya to the bamboo cutter.